As you all know (or should know), Fiddler is a really powerful web debugging proxy which logs all HTTP(S) traffic between your computer and the internet. Fiddler allows you to inspect traffic, set breakpoints, and “fiddle” with incoming or outgoing data. 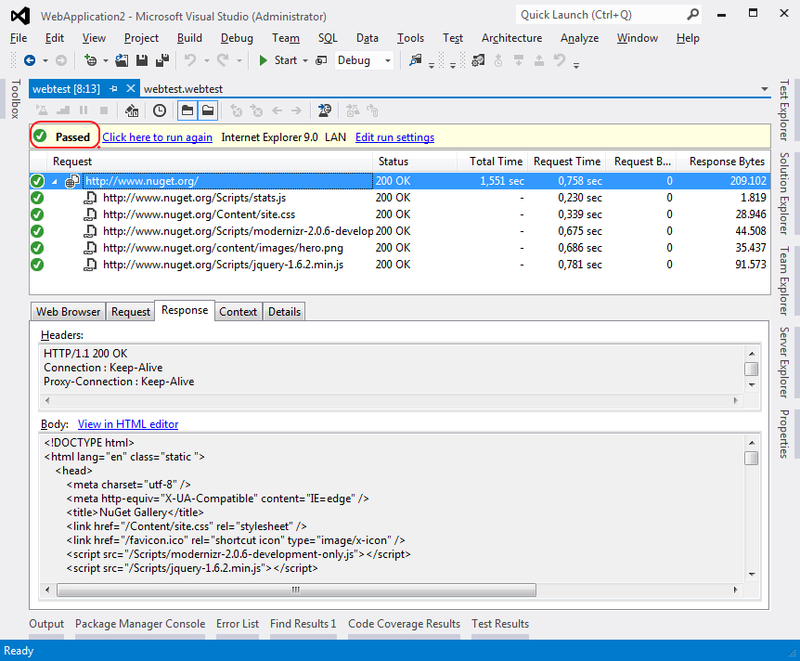 2.Capture some traffic, for example open your web application, and perform some actions, in my example, I opened the nuget.org website. 4. 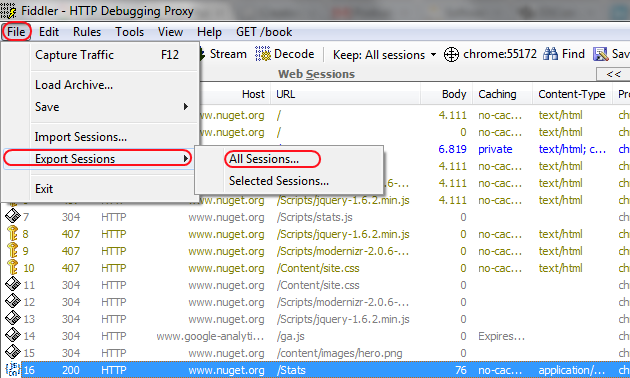 When you click next, you can choose where you want to save the web test file. 5. All you have to do know is either include the web test file in a test project from Visual Studio, or you can open it directly with Visual Studio. You’re now able to click ‘Run’ in the test window, and it should start the web test.